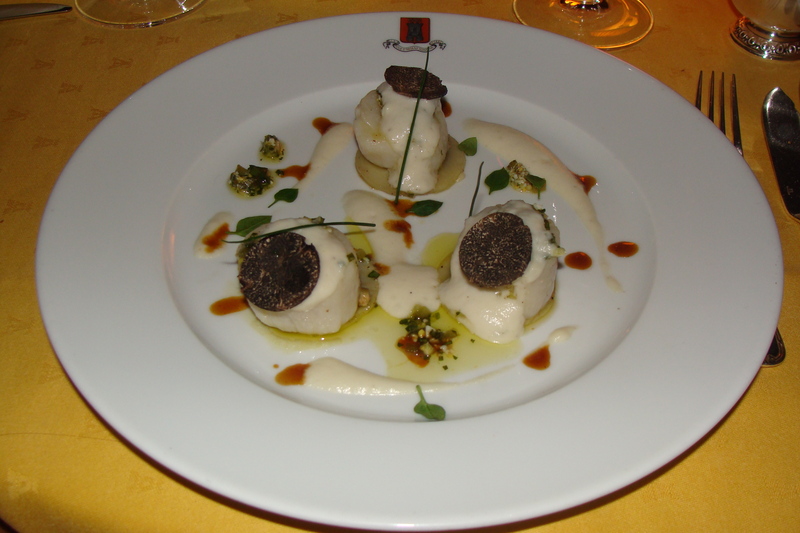 I have been lucky enough to dine at Allain Ducasse’s three-Michelin stared restaurant at Hotel de Paris in Monte-Carlo a number of times and have always enjoyed the tremendous food as well as wine served there. I have been always wondering how is the hotel’s wine cellar. There are two magnificent restaurants at the Hotel de Paris, together holding five Michelin stars, so the cellar must be something out of ordinary, I had always thought. Now, I can confirm, it is something big size-wise as well as content-wise. Located deep underground its long old tunnels and dim lamps evoke slightly nostalgic and mysterious feelings. One really feels as if time had stopped a long time ago and never started passing again. 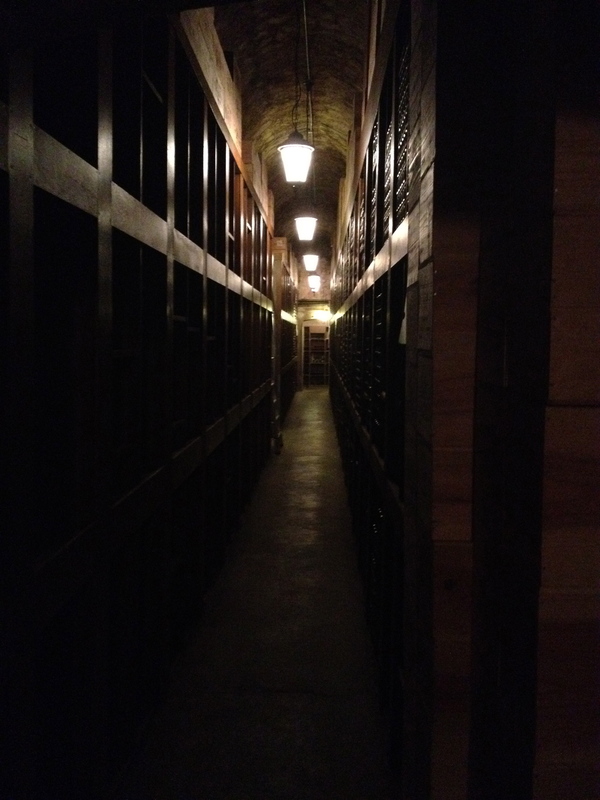 The only think reminding you are not in the 19th century are surprisingly the liquid assets of the cellar – the wines. There are, indeed, some very old wines in the cellar, but the sommelier taking us around was doubtful whether most of these reaching back into the 19th century were still drinkable. The oldest wine at a cellar known to me is at Palais Coburg in Vienna (I made a short video there) so in these terms Hotel de Paris does not compete. Yet, as I mentioned in some very old cases the high age starts to be less desirable. There are some centenary bottles Chateau D’Yquem, which should be magnificent now as this sweet wine is one of the best aging on the world. But, what makes this cellar exceptional are the quantities of the same vintage of rare wines such as Petrus (Bordeaux) and Domaine de La Romanee Conti (Burgundy). As the sommelier confessed: “I have been working at many high-end restaurants across France, but I have never seen so many bottles of one vintage of Petrus anywhere.” It is very hard to get hold of these rare wines itself and these in the wine business would confirm that getting 20 or 30 bottles of some wines is like looking for a precious diamond owned by a member of a royal family. 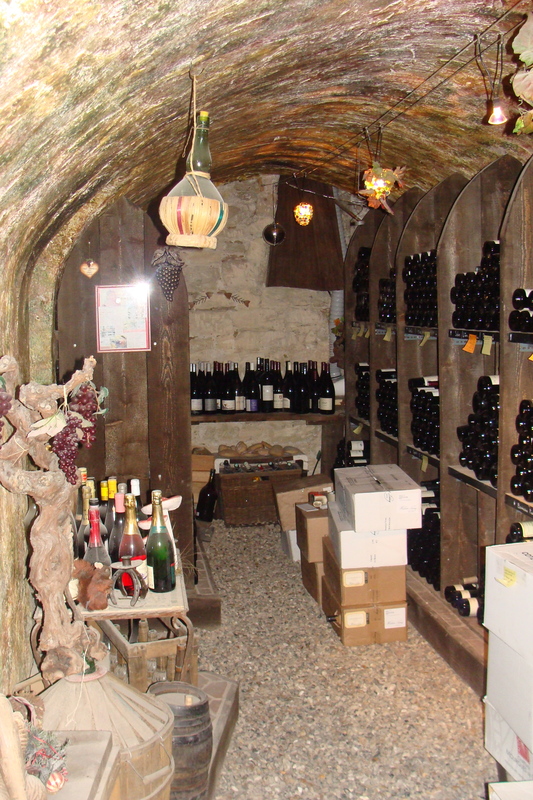 I wonder if there is any individual on the world having a cellar like this down under his house? If you know about someone, drop me an email, as I will offer a cleaning of it (a thorough) for free ;-). Set a way far from the herds of tourists relentlessly taking pictures of each corner of Paris Vivin is the right place to unwind after a five-hour museum marathon. 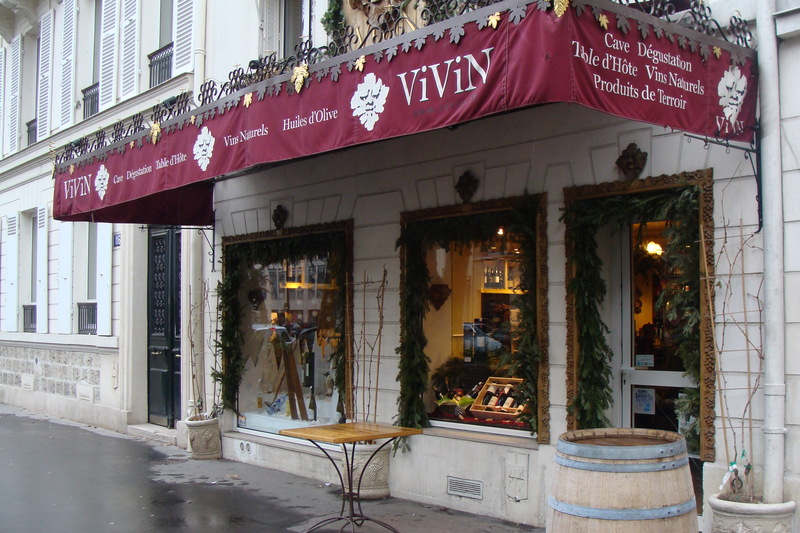 Following the advice of a friend ( naturally a wine enthusiast like me ) I took a break from my annual January sales hunting and headed to the suburbs of Paris to visit Vivin. This wine shop is known for its cellar full of rare mostly French wines for which you would have to pay a fortune in a restaurant if they had them on their wine list. Expecting a shop/bar type of place I thought the address wrong while entering this cosy wine shop. I forgot to mention, that my friend was singing odes on the incredible food he cherished there. Instead, lots, lots and lots of bottles, two huge Spanish hams and a very tall man looking at us as if we just landed from Mars. No wonder as the first thing we asked for was if we could have some lunch. Following laughs from the only table set in the middle of the shop with comments like “so tourists came for lunch to a wine shop,…where are you from?”, we explained we would like to buy some interesting wine and drink it with a bite to eat, and at that point the ice broke down and we were warmly adjoined to the table. Suddenly a crunchy bread, salad and extraordinary plate of the best Spanish ham, marinated peppers, anchovies with pistachios, and even a mouth watering cheese board landed on our table. We got a bottle of white Volnay 2005 premier cru, Nicolas Rossignol from Burgundy and shared it with the group next to us for which we got a taste of their red wine ( Domaine la Tour Vieille, Collioure, 2007) from the South-West of France. Both of them of a unique taste. 2005 was an excellent year for white Burgundy. Chardonnay, the typical grape variety for Burgundy, expressed its full potential in this year as it was superbly delicate. Syrah in the red Collioure is dominant. The very first sip unveils typical spicy tones a la Syrah, nevertheless this wine is also fresh and juicy with a nice body as it is blended with Grenache, also found in Spanish Rioja and Priorat, known for its cherry and peppery flavour. 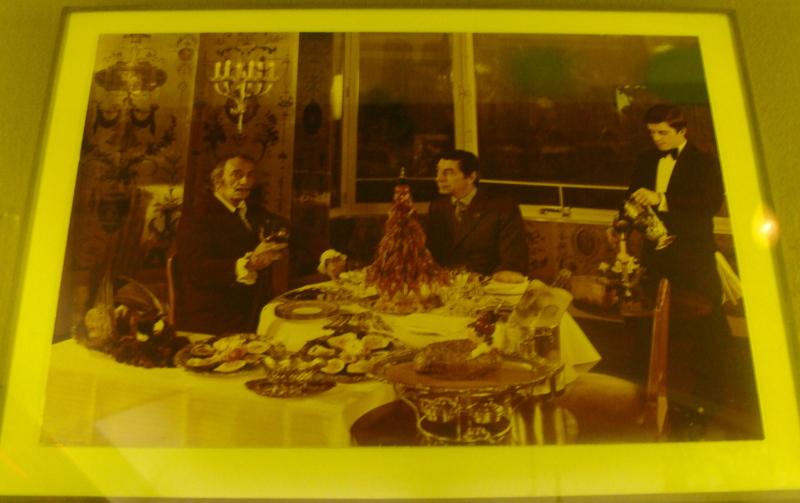 As we indulged in our n-th glass, it turned out that one of the French gentlemen was a wine expert hosting various tastings all over Paris. Now, I was sure, that we are at the right place. 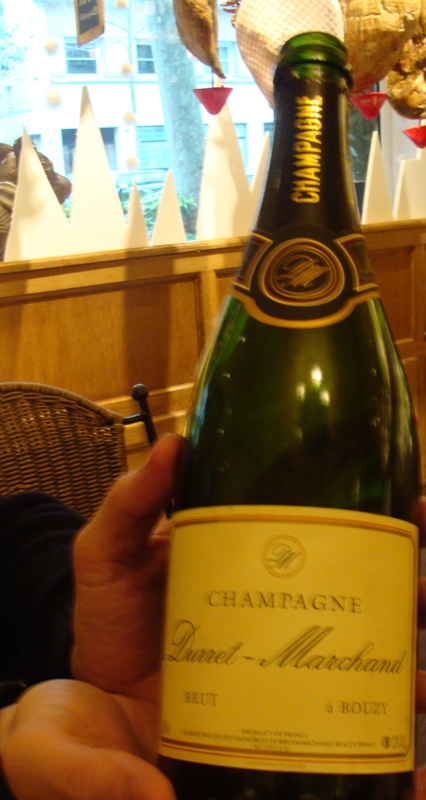 To finish up our outstanding lunch, the wine expert ordered a bottle of Champagne, but not a usual one which you can see at every Nicolas or Oddbins. Champagne Duret-Marchant Brut was surprisingly fruity and naturally slightly sweet. As it is a brut, a dry champagne into which only a pinch of sugar is being added, you could drink and drink and never stop. Yes, I mean that, I was lucky enough to have there my partner to help me to find my way back to the hotel. A real French style lunch. Over two hours and instead of a glass you end up with two bottles. How they do it? God knows, though there is something on the French way of life as they are one of the longest living nations and rarely suffer from heart diseases. So, instead of a spa head to a cellar, slow down the pace of your life ( enjoy long lunches ), and you will live longer! I am just wondering how many days I added to my life while staying in Paris for four days. Scientists! This is worth of an experiment. After finishing the first bottle I was trying to find my way to the ladies room and there it is! Hidden downstairs at the end of the lovely cellar. Walking on the stones on the floor I felt as if I were in a little village in Burgundy or Bordeaux and not in the 10 million metropolis. You must see it. 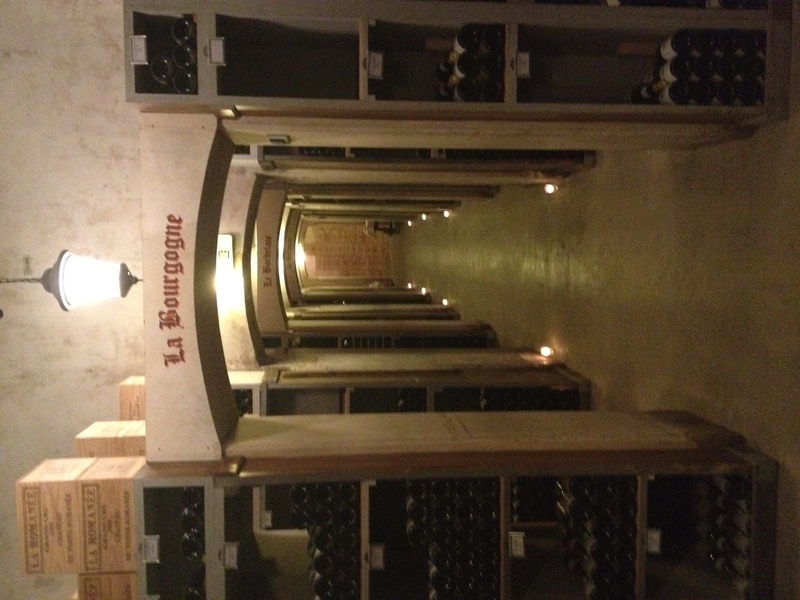 400, 000 bottles in a cellar in the middle of the French capital, that is really something! You can find not only a stunning collection of wines from all parts of France, but also can be pampered by gourmet food in the restaurant La Tour d’Argent nesting right on the bank of the Seine river. The view is breathtaking. The lights of boats passing by and spectacular Notre Dame remind you that you are in one the most romantic places in the world – in Paris. La Tour D’Argent suffered from negative food reviews in the past couple of years, often rated simply as quite boring. Nevertheless, its proprietors – the family Terrail, spotted it just on time leading to a massive improvement in the menu. You can spoil your taste butts on their famous Duck which has been served here to kings, queens, state leaders as well as to Holywood stars since its foundation in 1582! 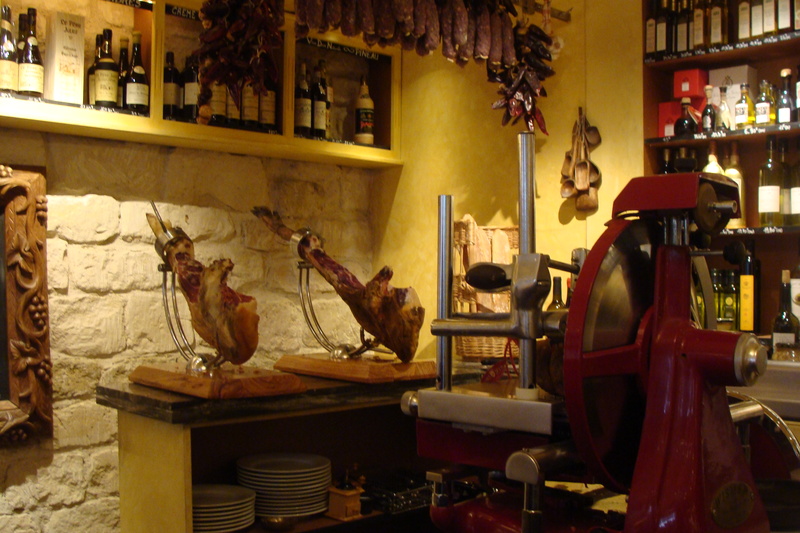 It is definitely one of the oldest restaurants in Europe, perhaps in the world! If you are not a big fan of a duck you can enjoy the mouth watering scallops with truffles or a foie gras melting in your mouth like a chocolate. 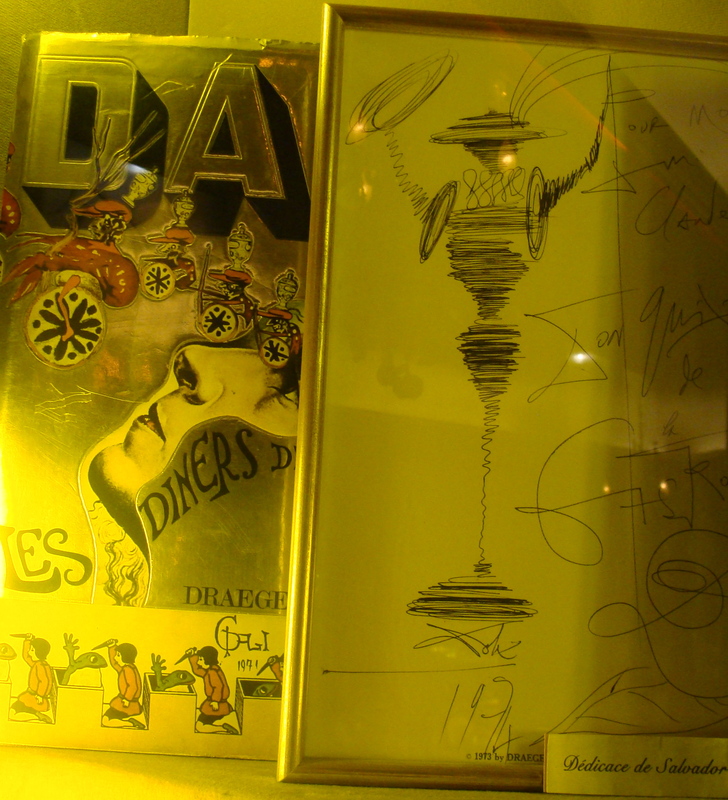 While having your aperitif downstairs at the cosy bar with a fireplace your eyes will be glued up to the walls full of the pictures and autographs from such honorable diners as Salvador Dali, J. F. Kennedy or king and queen of Japan. Though what is jaw-dropping are the bottles “enveloped” in dust whose labels only those with hieroglyphic skills can in some cases puzzle out. Chateu d’Yquiem 1880 or Grande Fine Champagne Tour d’Argent 1800 sit behind the glass enclosed cabinets. 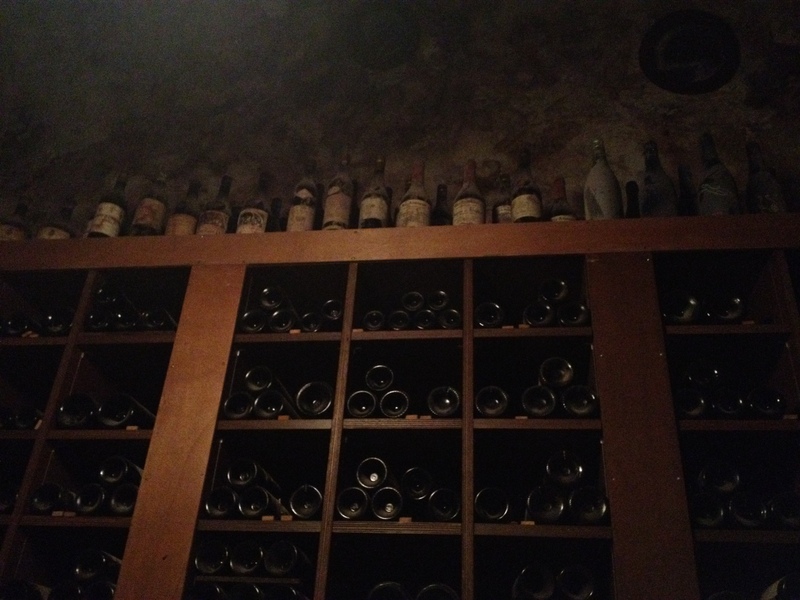 Today, the cellar can be visited if you contact some of the sommeliers or the owners, but it wasn’t so always. During the Second World War, the treasures of the cellar were saved from devastation from Germans only thanks to Claude Terrail who walled off part of the cellars. His heroic effort protected one of the biggest cellars in France for further generations so you can still today, if you are patient enough, get on the long wait list and admire the bible sized wine list presented before your dinner. 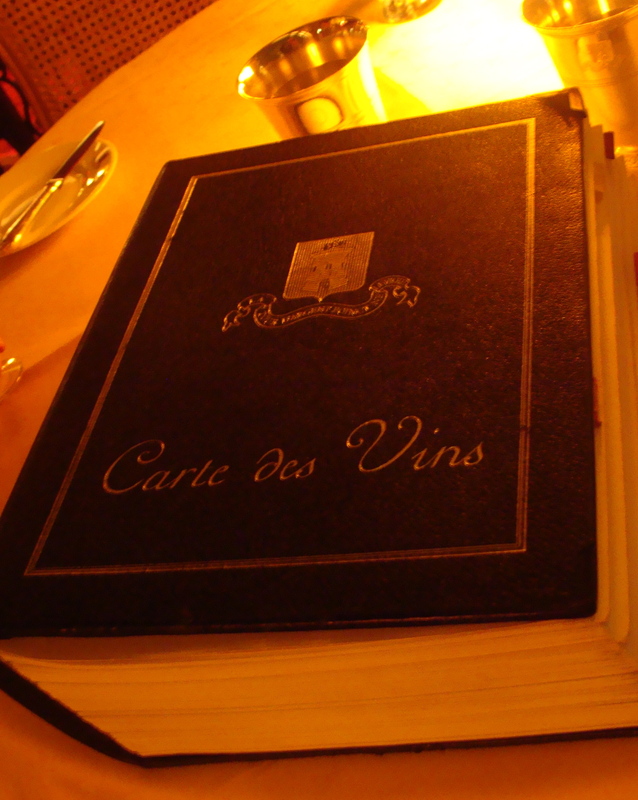 Once the wine list was in front of my eyes I couldn’t get my hands off of it. Nervous sommeliers must have been thinking that I found a new religion as I turned page by page of this massive book and studied all of its contents. It is strong on Burgundies. Treasures like Chambertin 1865 and Romanée 1874 may be well pass their peak, but they have an enormous value if you imagine that these vintages could have been drunk by Alexander II, Czar of All the Russias, or by F. D. Roosevelt, who both wined and dined here. The choice of Bordeaux doesn’t stand behind as you can find the strongest vintages such as 1982 or 1990 in most of the best Chateaux found there. Bubbly aficionados will be more than pleased. Top vintage champagnes are nesting in the first part of the wine list. Besides, you can ask for a list of strong cognacs, brandies, French Armagnacs and Madeiras all of discernible vintages. Their higher concentration of alcohol extends their age worthiness when compared to wine. 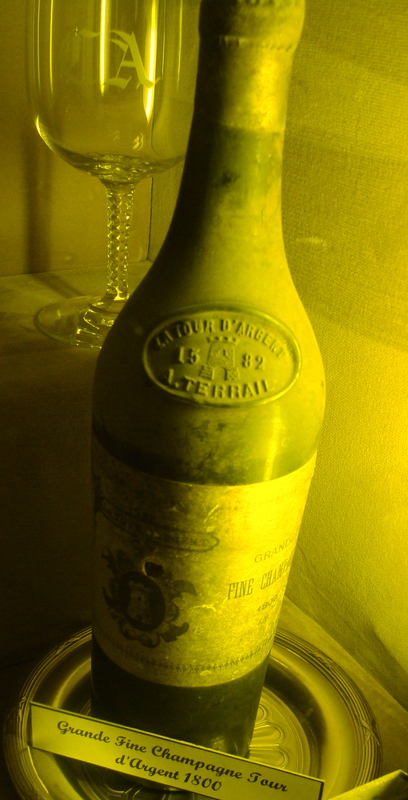 I have tasted Madeira 1910, the oldest liquid ever in my mouth, and I can now confirm the dust on the bottle doesn’t mean that its content has the same life span as human beings. Contrary to this, this brownish sweet Madeira resembled leather, walnuts and dark wood on the palate. I had a sip of Malvasia Vintage Madeira 1934 as well as I was curious to find this grape variety typical for Sicily in a desert wine from Madeira. It was much sweater and gentler than the classical Madeira. I would say it was more of a female drink as it was more subtle on the palate. I wasn’t lucky enough this time to visit the cellar as it was undergoing a reconstruction. Nevertheless, I was promised to see it on my next visit to Paris so keep reading my blog and soon you can see the secrets of one of the most interesting places not only for wine lovers right here on WINEBEING. A quiz question at the end: I have had a bottle of wine there which I personally desired for a long time. I give you a hint – I love art and as most of us I find the year of my birth exceptional ( even though in the case of wine it is the right temperature, amount of sun and rain which makes the wine outstanding ). So which wine we were drinking at La Tour d’Argent?